Fitzroy dominated the possession as expected from start to finish and came away with a very comfortable and controlled six-nil victory as they remain on top of the league after three rounds. After racing to an early three-nil lead, Regent City got a little complacent and allowed Preston a a way back into the game but fell just short as Regent made it three wins from three. After racing to a two-nil lead Friendship gave up the advantage when Parkville added three quick goals. Friendship would re-focus and add the next five straight goals to ensure they took home their first win of the season. 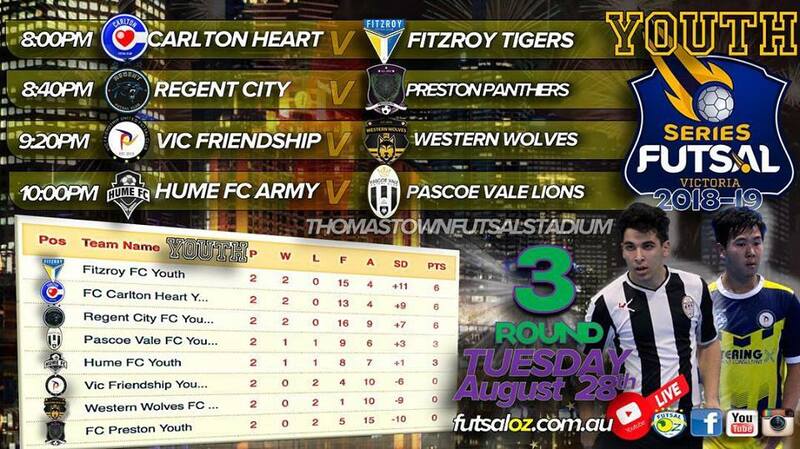 Hume and Pascoe Vale have played out a thrilling fixture, with the Lions prevailing via a penalty shootout.